Perth Airport and Virgin Australia are pleased to announce that operations will commence from the new Terminal 1 (T1) Domestic Pier from Sunday, 22 November 2015.
international services in one convenient location. Perth Airport’s Chief Executive Officer, Brad Geatches said the T1 Domestic Terminal is a worldclass facility and the most significant project in Perth Airport’s current $1 billion redevelopment. “The opening of the T1 Domestic Terminal represents a major milestone in achieving our vision of having all commercial air services operating from one convenient location,” said Mr Geatches. Virgin Australia Group Chief Executive Officer, John Borghetti said the new terminal will transform the customer experience in Perth. 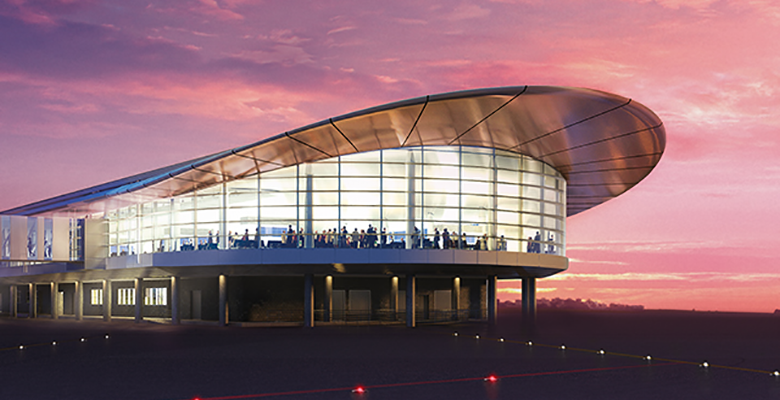 "This terminal is the centrepiece of our commitment to Western Australia and will deliver an outstanding travel experience for all of our customers. “It will provide access to twice the number of departure gates, with the ability to board up to twelve aircraft at one time, offering a world-class gateway for regional, domestic and international travel. “Our new check-in service will enable us to tailor the experience to the needs of different customers, combining cutting-edge technology with the personalised customer service for which Virgin Australia is renowned. “We believe the new Virgin Australia ground experience will raise the bar for airport services around Australia and help to ensure that Virgin Australia is the number one choice for travellers on the all-important trans-continental routes,” Mr Borghetti said. It is estimated that more than 4,200 contractors and suppliers contributed to this very complex, state-of-the-art facility, working an estimated 1.8 million man hours. Domain Stadium and has a perimeter measuring 1.4 kilometres,” Mr Geatches said. a state-of-the-art Virgin Australia lounge featuring the airline’s signature Espresso and Wine Bar. The new Domestic Terminal also includes innovative sustainable design features to reduce energy consumption, particularly the use of natural light and a façade providing shade during the summer months. “We are confident that the Virgin Australia T1 Domestic Terminal sets a new standard in customer experience in Australia. The facilities are brand new, very spacious and designed with the customer at the forefront,” Mr Geatches said. The first flight to arrive into the T1 Domestic Terminal will be Virgin Australia flight VA 713 from Adelaide at 7.35am on Sunday 22 November and the first departing flight will be VA714 from Perth to Adelaide at 8.10am.